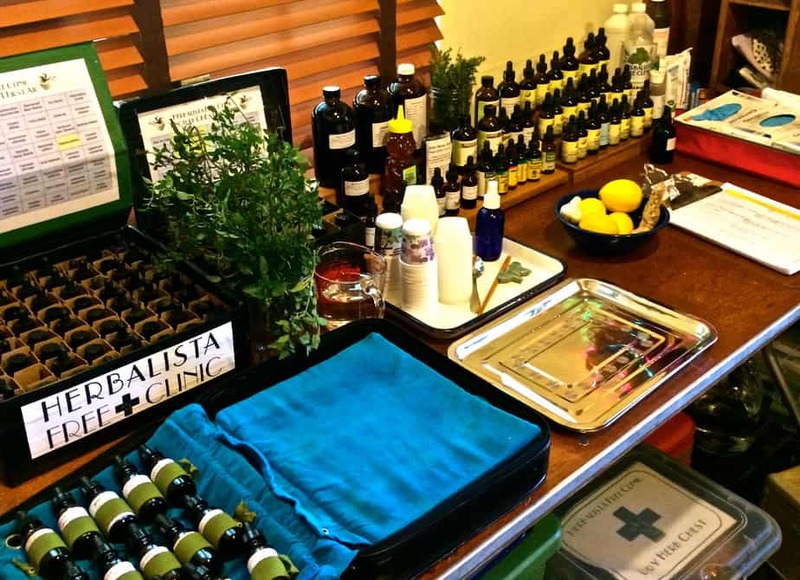 Each year we set up an Herbal First Aid Station at the Southeast Women’s Herbal Conference to support this gathering of over 1000 women and children. 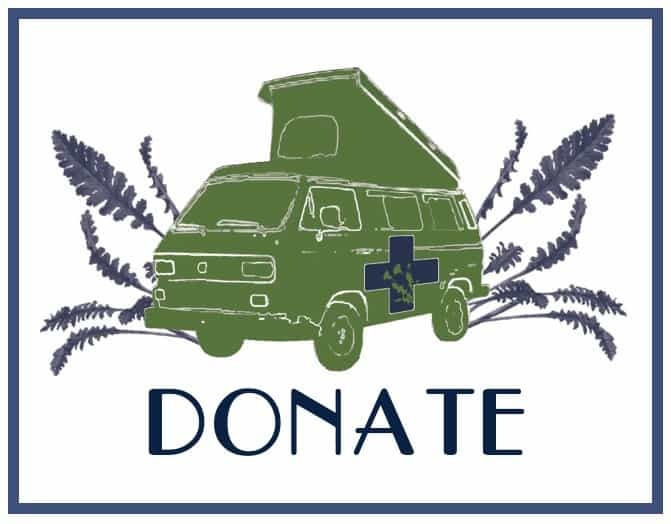 Our clinic is a collaborative effort between EMT’s and Herbalists, as we strive to provide compassionate care for this temporary community. For more information on the clinic (such as how we stock it, staff it, the forms we use, etc.) please check out the SEWHC Herbal First Aid Station Manual. This Manual is a free pdf download available at the herbalista website. And for a glimpse inside this year’s clinic, check out our photo album. A shot of the Apotheke. The weather was lovely this year, the overall energy was so joyful, and I was particularly moved by the keynote given by Rosita Arvigo on service and the dharma of a healer. While I am not situated to speak on the concept of “dharma,” I do know that while our work as herbalists (or any community healthcare provider) is often beautiful. It also requires that we witness and work with deep emotional and physical pain. When we partner with our patients through their struggles, we can be at risk of neglecting our own needs or those of our loved ones. It can also be hard to grapple with the suffering of multiple patients all in the same day. This is what can make a gathering like the Southeast Women’s to be so important, as it brings together a community, all of whom are dedicated to this path. It gives us a chance to nurture and support each other, a chance for care-takers to be cared for. We are grateful to have the chance to do just that.